The simulation of multiphase flow problems in porous media often requires techniques for uncertainty quantification to represent parameter values that are not known exactly. The use of the stochastic Galerkin approach becomes very complex in view of the highly nonlinear flow equations. On the other hand collocation-like methods suffer from low convergence rates. 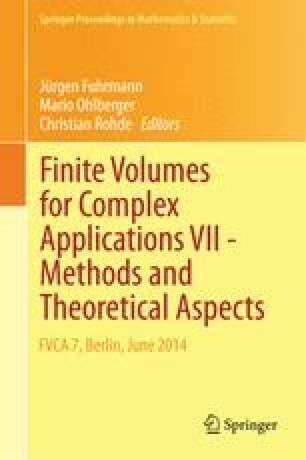 To overcome these difficulties we present a hybrid stochastic Galerkin finite volume method (HSG-FV) that is in particular well-suited for parallel computations. The new approach is applied to specific two-phase flow problems including the example of a porous medium with a spatially random change in mobility. We emphasize in particular the issue of parallel scalability of the overall method. The authors would like to thank the German Research Foundation (DFG) for financial support of the project within the Cluster of Excellence in Simulation Technology (EXC 310/1) at the University of Stuttgart.